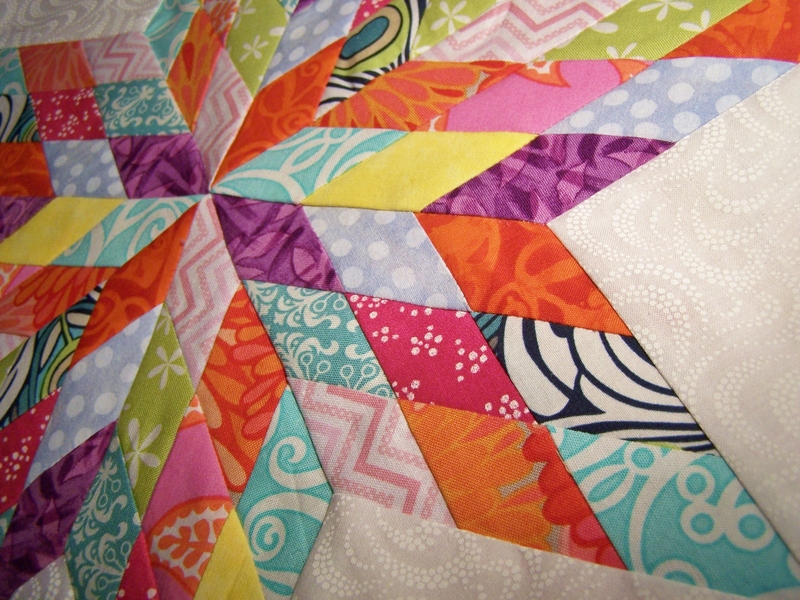 The March Block of the Month is a ‘Joseph’s Coat’ variation. 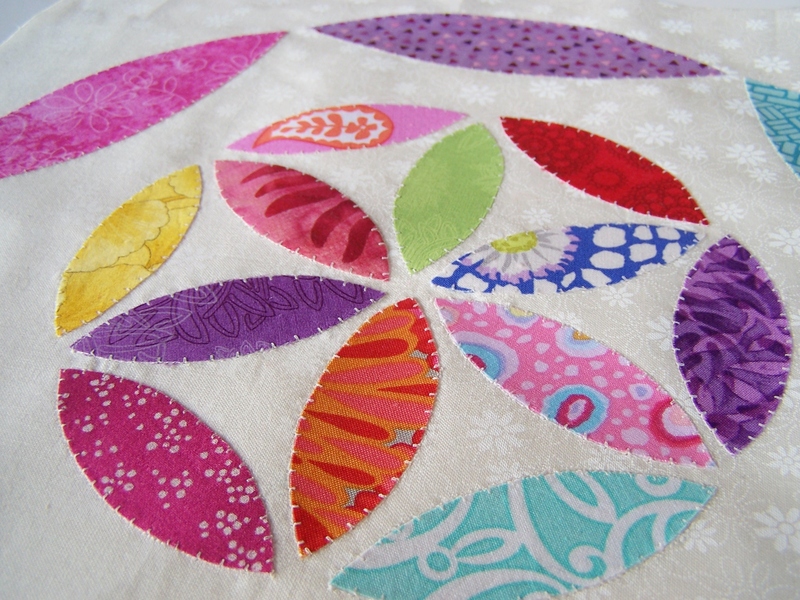 This block is appliqued using fusible web. It’s really a fun block… It goes together easy and is really stunning with the negative space between the inner design and the outer ‘circle’. I’m loving this block! If you’re not following along with the block of the month this block would make some gorgeous pillows, or an entire quilt. 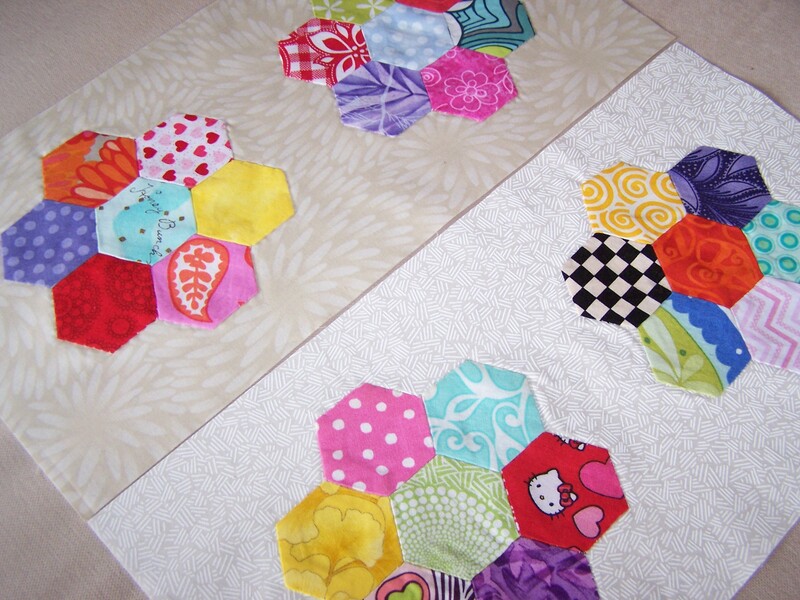 You can even play with the placement of the shapes to create your own block design. 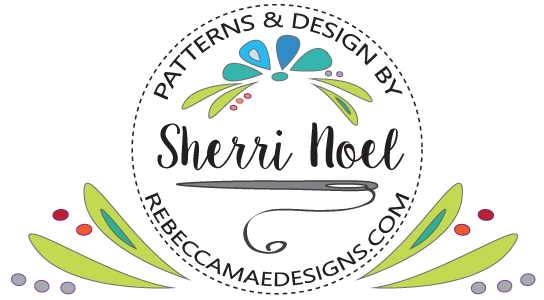 It opens the mind to other applique possibilities and it’s great for beginners or a refresher if you’ve used this applique technique before. 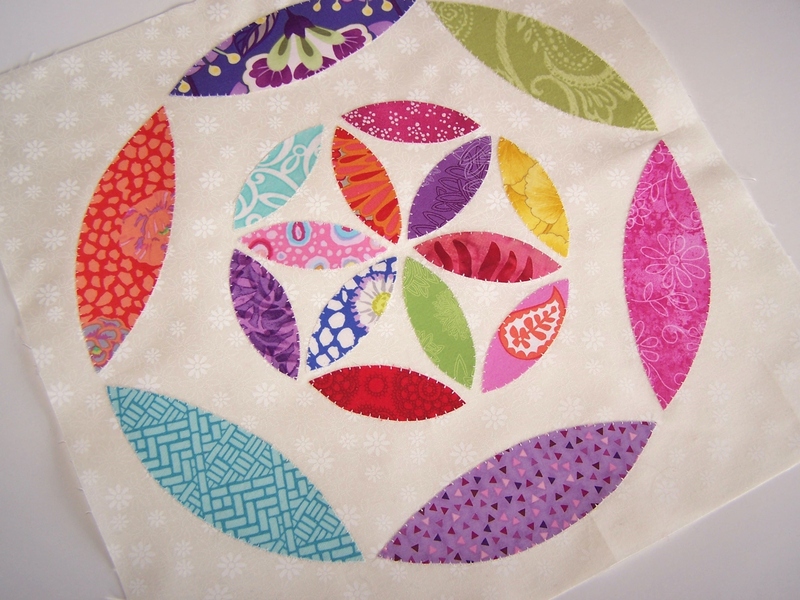 If you prefer to assemble this block using needle turn applique (rather than the fusible) that is definitely an option. I machine appliqued using cream color thread that matched the background fabric but not the shapes so the stitches are more obvious. You may choose to use thread colors that match your shape colors if you would like your stitches to blend better. 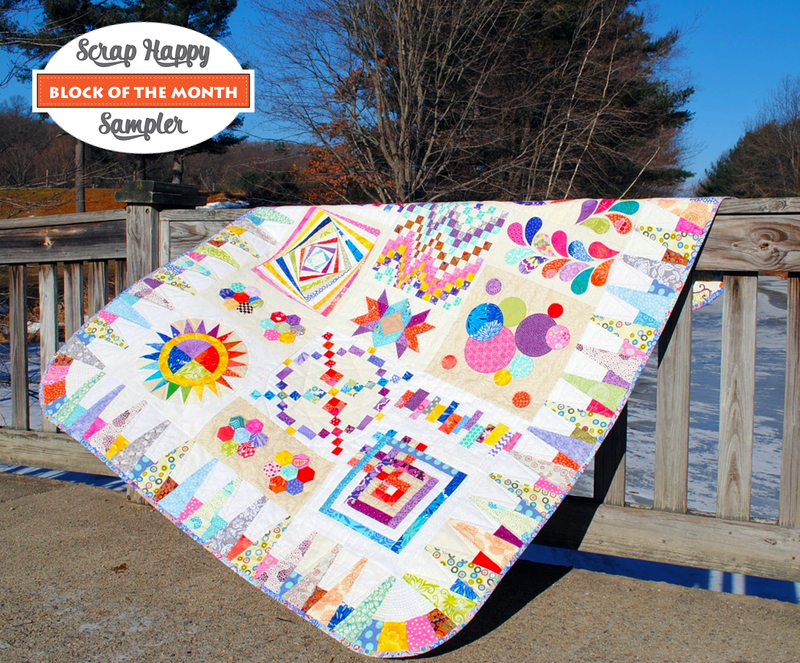 The current Joseph’s Coat block is available free for the entire month of March. When March ends, you can find the complete pattern in My Shop OR on Craftsy. 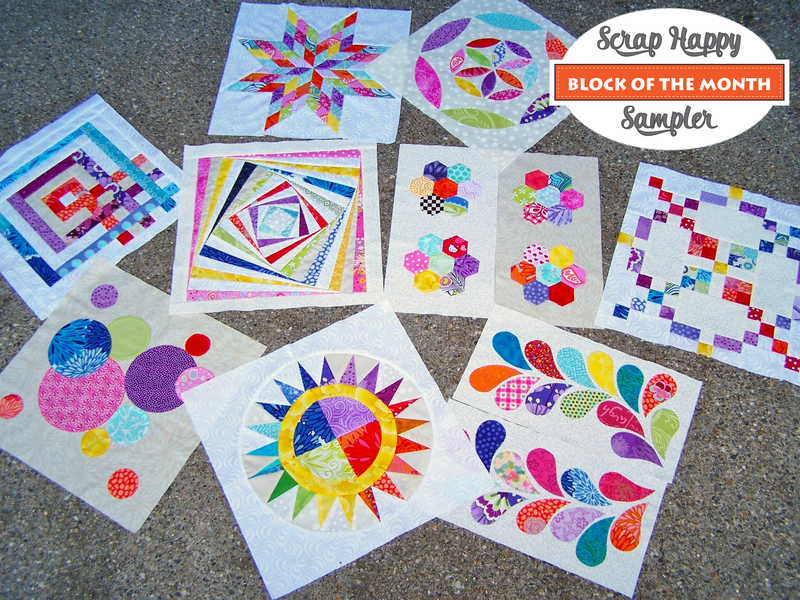 Scrap Happy Sampler Quilt pattern is in My Shop AND on Craftsy. This is beautiful! I can’t wait to get started! Really love this new block. It is very pretty. I just finished making this block. I can’t believe how pretty it is! I can’t stop looking at it!